This is a poster from a 2012 protest in Greece regarding austerity and Greek Debt. For the U.S. investor tired of the continuing financial “drama”, this facial expression could illustrate how frustrated and stressed investors become on “Fed Days” and when the “Greek Cycle” takes another turn for the worse. Report: The Most Obscene Economic Fraud of All Time! Do you sometimes feel like investors are trapped in a variation on the iconic movie: “Groundhog Day”? Every month we go through the same news cycle on U.S. interest rates (“When will the Fed raise rates?”) and Greece (“Will Greece or won’t Greece (default on debt and/or exit the Eurozone)?). Isn’t it amazing how many experts and analysts the financial media can parade before us – each pronouncing (with seeming confidence) what we should expect in tomorrow’s news … and yet nothing (materially) changes. Imagine you are a modern day Rip Van Winkle who “fell sleep” in November of 2011 and just woke up at the beginning of June of 2015! What would you remember from November 2011 and earlier? 1) QUANTITATIVE EASING (QE): The U.S. Federal Reserve was already deep into its Zero Interest Rate Policy (ZIRP). 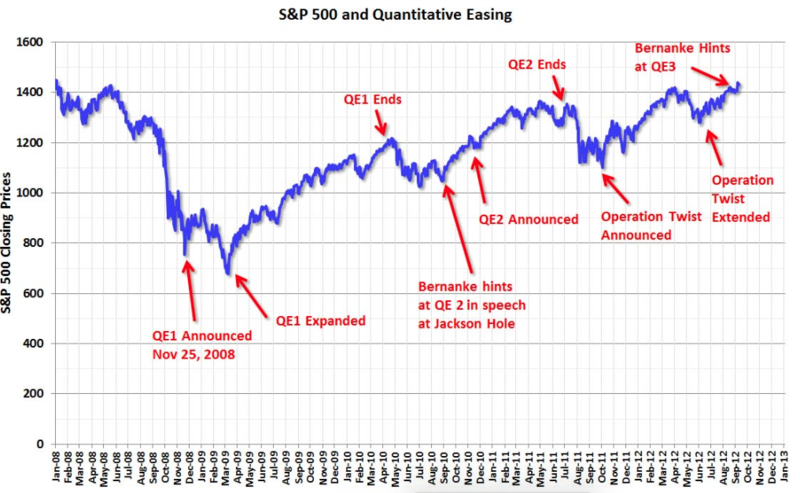 We had already been through two versions Ben Bernanke’s QE Policy… and “Operation Twist” was the newest “wrinkle”. Standard & Poor’s had (for a second time) bestowed the lowest possible credit rating on Greek debt. Parliament passed a “new” austerity package. The Greek stock exchange reached its lowest level since the start of 1997. The government imposed a property tax to be assessed through electricity billings. The government announced a “multi-austerity package”—which inspired public rioting. Investors accepted a 50% “haircut” on their bonds – converting said bonds into new debt. The Greek Prime Minister won a “confidence” vote… and soon thereafter resigned. You thought things couldn’t get any worse. 3) U.S. Stocks: from early March of 2009 (the lowest low) through the end of November 2011 (just as you went to sleep), the S&P 500 Index had recovered almost 80% of its value in just 2.75 years. You thought you were “sitting pretty and doin’ fine”! (Except for Greece, of course). 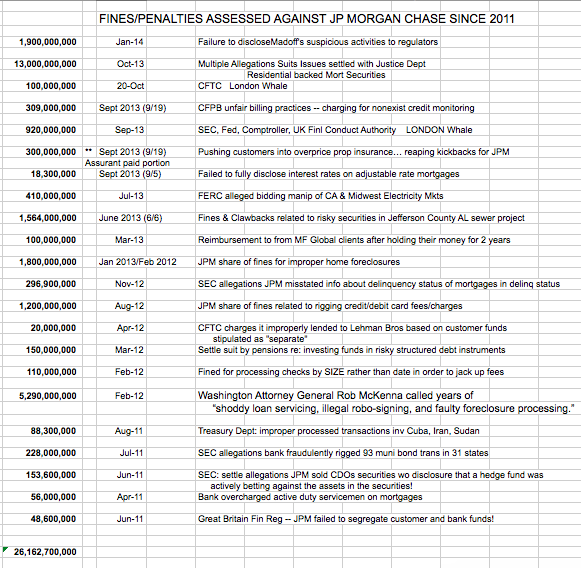 4) Oh… and one more thing… J.P. Morgan Chase (JPM) had been assessed fines and penalties totaling almost $575 million during 2011 alone (between just June and August). The United Kingdom fined JPM for not adequately segregating customer accounts from bank funds; the SEC fined JPM for lack of disclosure in the sale of CDO’s and for fraudulently rigging multiple municipal bond transactions; but the violation you thought was most egregious was the overcharging of active members of the U.S. military on mortgages! So now let’s “wake you up” on June 1st, 2015. What do you discover as you start “catching up”? 2) Greece: You can’t believe that the Greek drama is still in full flower! In addition, you discover how “wrong” you were in 2011! The “Greek Crisis” not only did get worse… it got much worse. In addition, knowing that the Greek economy is only equivalent in size to that of Dallas/Fort Worth … it dawns on you that something much bigger must be at stake. Indeed, you hear rumblings that “If Greece is allowed to leave the Eurozone…” there will be a line of countries ready to take the same step. That is the “true” issue at hand, and why Greek leaders have an illogical “leverage” over Eurozone politicians. You see that the S&P 500 Index (with dividends reinvested) has gone up an additional 75%+ since November 30, 2011!! And you thought you had it made back in 2011!!! Little did you know. 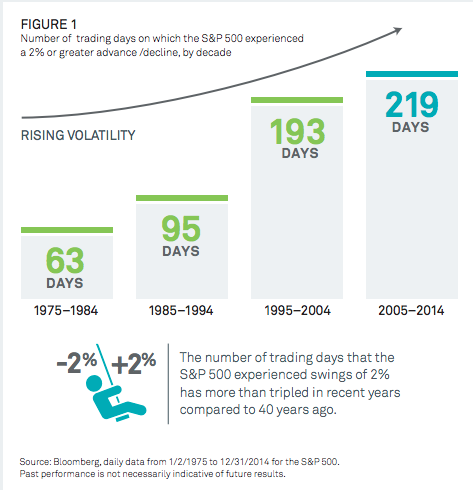 4) J.P. Morgan Chase: Well, it takes a while for you to get “acclimated” to 2015. But on the evening of June 16th, while you are enjoying a Guinness pint with a dear old friend in the local pub, that friend shows you a chart comparing JPM and the S&P 500 from when you first fell asleep through June 16th! You are flabbergasted that, as great as the S&P 500 has performed… the bank literally “smoked” the Index by jumping over 106% since November 2011!! But what really impresses you is the outperformance of JPM during the period (up over 10.5%) vis-à-vis XLF (of which it is a key component) (up just over 1.5%). 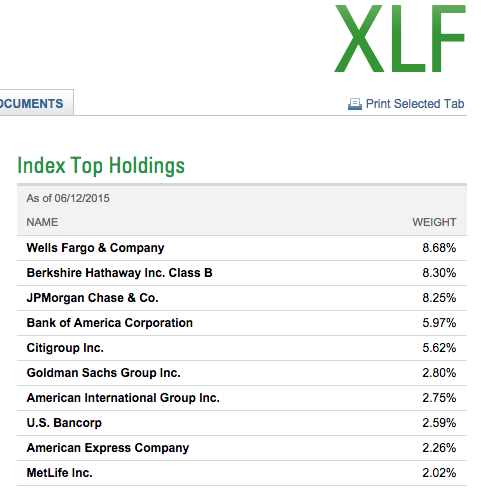 Top Ten Holdings in XLF. Note the ETF focuses on “big banks”. JPM itself comprises over 8% of the ETF. In a friendly attempt to help you gain a better “scale”, your drinking buddy points out that just $20 billion would adequately fund the education budget for New York City… or it would finance the payroll for the New York Yankees for a century (yes, even with A-Rod on board!!). 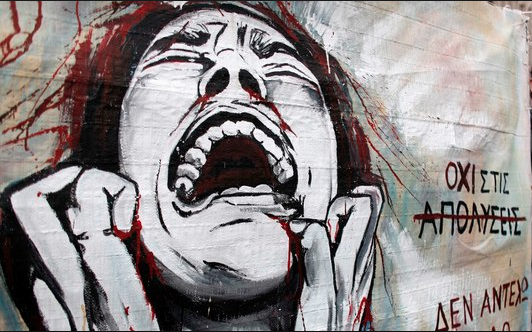 We are tired of the seemingly unending news recycling regarding the Fed and Greece. So, let me pose to you a separate issue… an issue that is much more fundamental and systemic issue, and (I dare say) many degrees more significant than whether Greece secures another Euro Bailout … or whether U.S. Federal Reserve Chair, Janet Yellen, presses the “Interest Rate UP Button” this month, next month, next quarter, or next year! Quite frankly, during the past few years, as I have read analysts, commentators, and authors, what I recall as the pattern is that most of them boldly state that, “of course” the U.S. financial system is healthier than it was back then… as though that was some form of a priori or axiomatic knowledge!! Such unsubstantiated comments have yet to convince me. For better or worse, more convincing to me have been recurring headlines regarding financial institutions and the periodic, trenchant, empirically-documented commentary offered by respected persons in a position to “know” the truth. An example of such commentary can be found in remarks offered during May (2015) by Jeffrey Lacker, president of the Richmond Federal Reserve Bank (and a voting member this year on the Fed’s policy-setting committee). Lacker shares concerns vocalized by a few other key experts regarding what regulators must do to ensure a “safer” financial system. 2) Title II of the 2010 Dodd-Frank Wall Street Reform Act. That provision (the “Orderly Liquidation Authority” (OLA)) empowers the Federal Insurance Deposit Corp to draw upon the U.S. Treasury if/when a bank needs to be “liquidated”… in order to maintain bank activities until they are sold off or wound down. Of course, the “emergency lending authority” of the Federal Reserve serves much the same purpose. 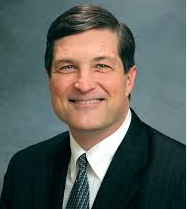 Lacker has made no secret of his position (echoed by critics from both political parties) that this power should be repealed. 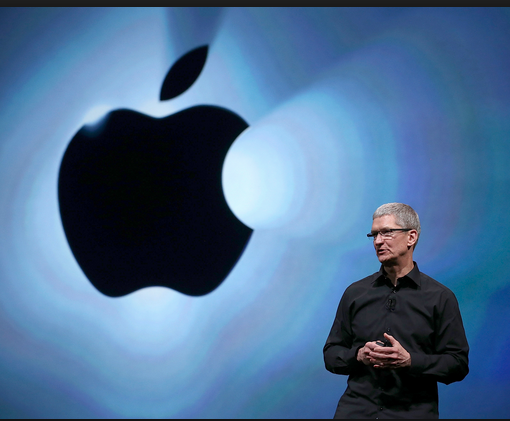 He has also opined that the lending authority favors the biggest Wall Street firms. Ultimately, Lacker contends that these “lending powers” encourage “risk-taking” by large Wall Street firms… and risk-taking increases the likelihood of a future financial crisis (and bailout). Lacker doesn’t just pontificate… he and the Richmond Federal Reserve Bank he leads provide a wealth of information on “federal bailouts”. I’ll spare you the granular detail, but here are the two big “visuals” that illustrate Lacker’s concern. 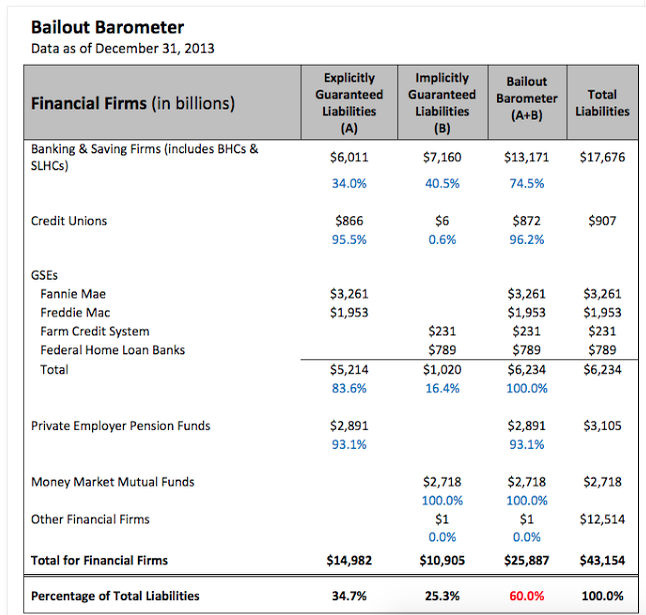 The total liability shown is so mammoth (nearly $26 trillion) that any future financial meltdown will not witness a wholesale “bailout”!! b) “Why is that?” you ask. The annual GDP of the U.S. is only in the $17-18 trillion range. And the existing federal debt is already in that same range. Therefore, the U.S. could not “afford it”. 2) The second visual is simpler. It illustrates the fact that our federal “bailout” liabilities as of 12 31 13 stand approximately 34% higher now than in 1999!! 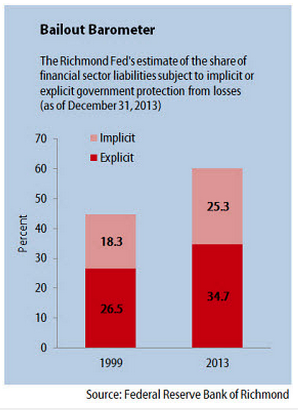 The corresponding graph from the Richmond Fed. Before we move on to the “Takeaway”, let me ask if it ever occurs to you that financial news might be “managed”? Could it be that the reason we hear (ad infinitum) about Fed rates and Greece is that it distracts us (rather effectively) from dwelling on more systemic issues such as those posed by Lacker? Sometimes it feels that way. I understand that the issues raised by Lacker seem overwhelming and “unsolvable”. Therefore, focusing on them tends to be a “deflating” experience for the average investor. However, as we decide each year where we will allocate our limited investable assets, it is important for us to have open, transparent access to the “truth” about our financial system. Isn’t it fair for us to expect that some legitimate, authoritative expert should be empowered to inform us, honestly and accurately, whether or not our financial system is stronger, sounder, less “stretched” and more “elastic” than it was 8 years ago? Yes, I know that is not going to happen – but it should. In the meantime, we should pay close attention to voices like that of Jeffrey Lacker! Their frank and data-driven perspective can provide vital information we need in order to develop our own risk management strategies! 2) Bond Volatility is increasing: Just read the personal testimony of major bond traders like Jeffrey Gundlach and Bill Gross during recent months – with domestic and global bonds experiencing a head spinning degree of volatility thus far in 2015. One of the major reasons why volatility and liquidity have become more challenging is that the unprecedented amount of global Central Bank funds “sloshing” around the world has (in the minds of many observers) made traders more edgy to “get out” when it appears that trouble might be brewing – especially when any given market becomes overextended. You could say that untold traders have their “finger” figuratively poised over the “Sell” tab on their trading platform so they can beat “the crowd” out of this or that investment. That in and of itself leaves the average trader (you and I) at a bit of a disadvantage when it comes (as it likely will) to the next swoop downward (whenever that occurs). Finally, turning specifically to U.S. bank stocks. Yes, an increase in interest rates (whenever that comes) should increase bank profitability! However, the profits will only be able to grow slowly – as old loans mature and new loans are initiated at higher rates. No matter how attractive bank stocks might appear from the perspective of potential outperformance, an investor needs to hold herself to a percentage limit on how big a share of investable assets gets allocated to banks! In addition, as we have heard Mr. Lacker suggest, there is some “extra risk” that comes with the bigger banks. So consideration might be given to the SPDR® S&P® Regional Banking ETF (KBR) – composed of smaller banks across the country. Finally, perhaps you grasped earlier the significant (relative) outperformance of JPM during the past several years (and recently). 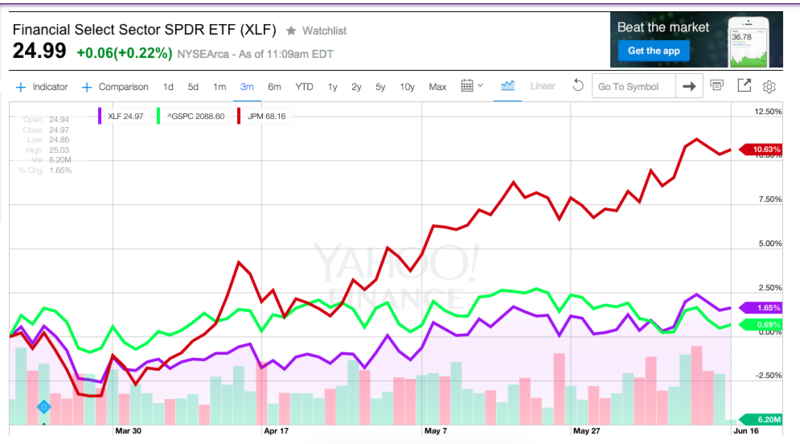 Putting aside the question of corporate ethics entirely, such outperformance might suggest to risk adverse investors that allocating assets into XLF or KBR … or (if preferred) a different money center bank might be a more prudent choice! The author does not currently own JPM, XLF, or KBR. He does own positions in SPY. Nothing in this article is intended as a recommendation to buy or sell anything. Always consult with your financial advisor regarding changes in your portfolio – either subtractions or additions. Just imagine how much mail you’d have to get through!! Holy moly! I have researched this area extensively. It is amazing how hard it is to unearth specific information on corporate criminal fines/penalties. Even the various “lists” I found identifying JPM’s fines were significantly different – corroborating how arduous compiling an accurate list is. Plus, I’ve discovered that what appears to be a “huge” fine when initially announced by a State’s Attorney of Justice Department official often becomes less onerous when one examines the “fine print”. Funny how that works. By means of comparison, I was unable to uncover any other bank that has incurred penalties as large as JPM … and the only other corporate penalties that I can find that are comparable in scale to that of JPM are the BP oil spill and the multi-company fines against tobacco companies. 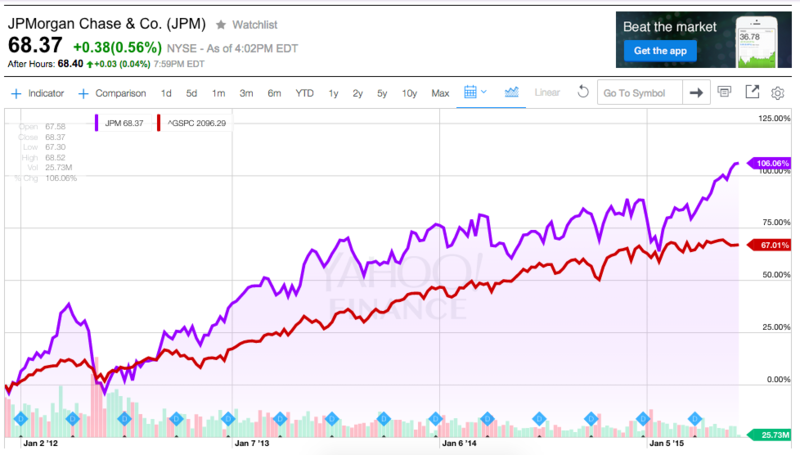 Let’s just agree that JPM’s record since 2011 has placed it in very rare (legal) company!! (a Lacker quote from his speech at the Louisiana State University Graduate School of Banking. A quote from the bank report.